At a press conference held at 10:00 a.m. today, Lieutenant Governor Shan Tsutsui announced his plan to develop a new initiative geared towards enhancing the learning experience of intermediate and middle school students throughout the State. Studies indicate that students between the grades of 6th and 8th are often left on their own during the hours immediately following the conclusion of school. Furthermore, studies also show that crimes committed by or against juveniles occur with greater frequency on schools days and roughly between the hours of 3:00 p.m. and 7:00 p.m. Efforts to increase or improve school attendance, behavior and coursework have proved key indicators in whether a middle school student will graduate. Keeping our keiki engaged in school and positive activities that will enhance their learning experience will help them succeed in school and in life. Effective and positive after-school programs provide not only an educational benefit to students but also a social value to the overall community by reducing juvenile crime. The State has long focused on providing after-school programs to our State’s elementary and high school students; however, successful programs for intermediate/middle school students have been sporadic and decentralized. In October 2012, the Department of Education (DOE) introduced the Intermediate Athletics Pilot program, to be piloted in the Zones of School Innovation (ZSI) in the Nanakuli-Waianae complex, and the Kau-Keaau-Pahoa complex on Hawaii Island. Through partnership with generous community donors, the DOE introduced several sports for boys and girls last fall to several campuses. All intermediate school athletes are required to maintain a 2.0 Grade Point Average (GPA) to participate. While programs like these will make a difference in the lives of our students, because there is currently no comprehensive program to provide intermediate/middle schools with the support and guidance to implement these effective and positive after-school programs statewide, the Hawaii Intermediate/Middle School Challenge will work with the organizations currently utilizing successful platforms at the various intermediate/middle schools throughout the State, with the goal of bringing these programs under one umbrella organizational structure. Board of Education member Keith Amemiya, Washington Middle School All-Stars member Macey Honjiyo, and Supt. Kathryn Matayoshi. Hawaii Intermediate/Middle School Challenge will start immediately after-school and is intended to be a comprehensive and structured statewide program to fill the gap of youth activities available to students between the 6th and 8th grade. Programs offered will be from three general categories—academic enrichment, arts and culture, and sports. Currently, the majority of existing intermediate/middle school programs is supported by unpredictable federal funding, a more reliable source of funding would provide greater stability for the programs, as well as greater participation. Accordingly, using a community based approach the program will seek to utilize available federal and state funds, while also partnering with the schools, parents and the private sector to provide funding and resources to facilitate the program’s success. The partnership with these stakeholders will ensure that the after-school programs will be well established in their respective communities and will likely be financially viable for the long-term. · Continuing the Department of Education’s vision of utilizing a school-community network approach to engage community-wide support and responsibility for our intermediate/middle school students’ education, health and well-being. · Providing students at all intermediate/middle schools within the State, the opportunity to participate in before- or after-school programs that will enrich and encourage student growth in academics, personal responsibility and maturity, creativity and the development of social skills. · Reducing the number of student dropouts by providing a seamless transition of after-school programs that promote student participation in school related functions from elementary through high school. · Providing health, fitness, educational and social enrichment opportunities to intermediate/middle school students. Lt. Gov. 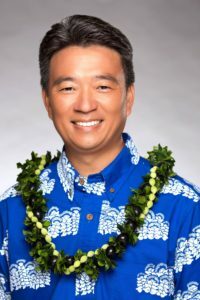 Shan S. Tsutsui and the Hawaii Departments of Health (DOH) and Education DOE) together announced the state’s inaugural Excellence in Wellness Awards for Hawaii schools that have reached high levels of achievement in meeting DOE Wellness Guidelines. Eight windward schools were the first to receive their awards, presented yesterday at the annual Windward District Fitness Meet at Castle High School. Each school scored 90 percent or above on the state’s Safety and Wellness Survey in school year 2011-12. Windward schools honored today were Ahuimanu, Benjamin Parker, Heeia, Kaneohe, Kapunahala, Keolu, Laie, and Blanche Pope Elementary Schools. A total of 50 schools statewide will receive awards at local ceremonies in the coming weeks. “Schools play an integral role in promoting student health through education, good nutrition, and other school-based activities that lend to achievement and learning,” said Superintendent Kathryn Matayoshi. All 50 schools will be eligible to apply for DOH grant funds up to $8,000 per school to support implementation of Wellness Guidelines in school year 2013-14. A total of $160,000 will be available to be divided and awarded between the best qualified applicants. More information about the DOH funding opportunity will be released soon. The DOE Wellness Guidelines include standards for foods and beverages provided to students, as well as goals for health education, physical education, and other activities that support a healthy school environment. All public (non-charter) schools are expected to comply. The Safety and Wellness Survey (SAWS), an annual online survey jointly administered by the DOH and the DOE to public school principals statewide, is used to monitor implementation of the Guidelines. The Windward District Fitness Meet is an annual event that demonstrates Windward District schools’ commitment to wellness. Through out the school year, students have been preparing for the Fitness Meet in their Physical Education class. Physical Education is an essential component of the DOE Wellness Guidelines and helps students reach the recommended amount of physical activity.